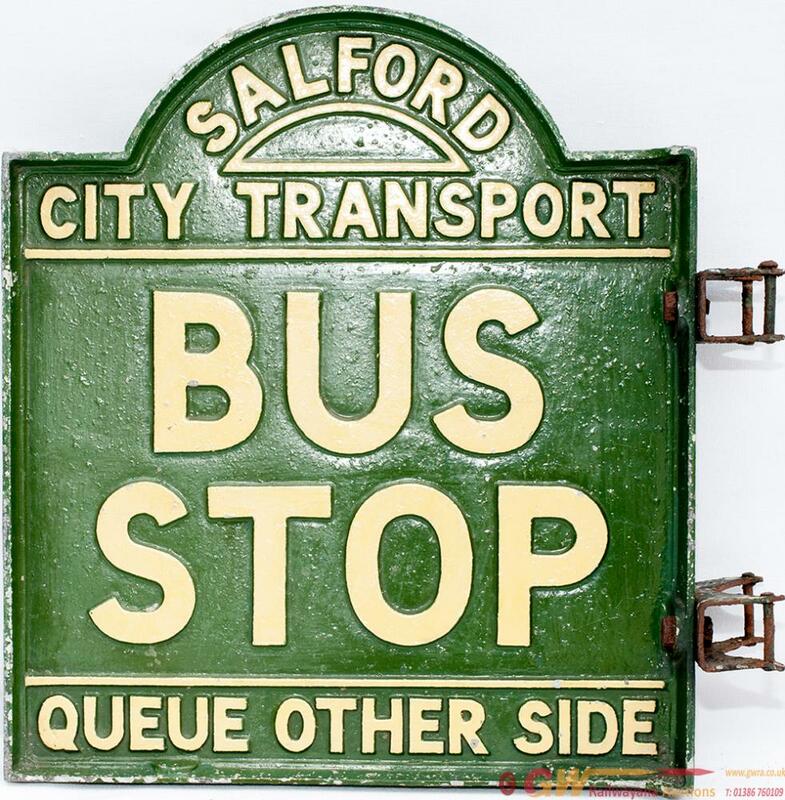 Cast aluminium bus sign SALFORD CITY TRANSPORT BUS STOP QUEUE OTHER SIDE/ QUEUE THIS SIDE. Double sided in good original condition complete with mounting brackets. Measures 15in x 13in. Salford bus signs are very rare.